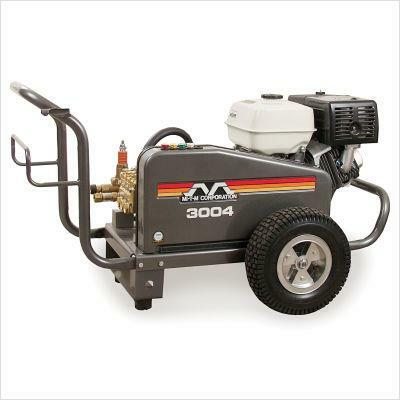 3500 PSI GAS POWER PRESSURE WASHER. 11.0 HP HONDA ENGINE, BELT DRIVE. REQUIRES MINIMUM 3.7 GAL PER MINUTE. COMES WITH 4 TIPS, 50' PRESSURE HOSE & WAND.